The Woodworking Masterclasses video course on the housing joint carrying tote is one of my favorites. Not sure if it’s Paul Sellers in a santa cap or the beautiful simplicity of the project, but I’m a big fan of this particular set of videos. I watched it the other day, so one of the techniques Paul Sellers teaches in those videos was fresh in my mind and of use today. 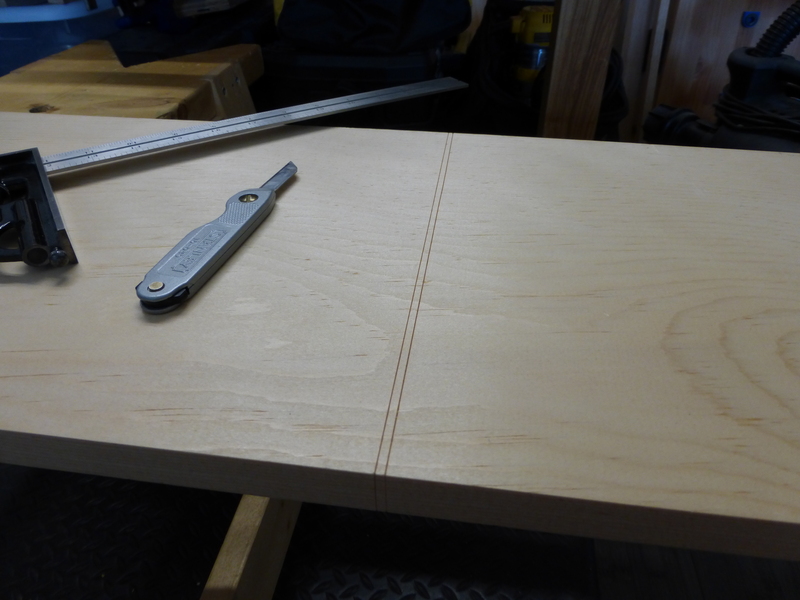 The tabletop for the angled leg side table will consist of two 24″ x 12″ boards cut from the same piece of 1″ pine. As a result, I can use the double knifewall method shown in the housing joint carrying tote video. 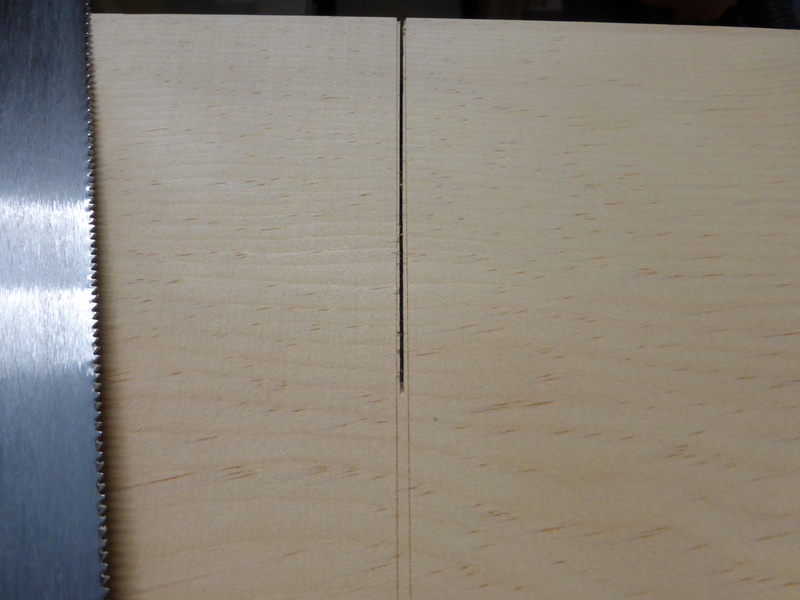 By sawing between the scribed lines, each end has its own knifewall to plane down to, guaranteeing square ends and eliminating chipping from the saw cut. I haven’t used this marking knife in a while, either. I don’t crosscut boards this wide very often, so it was nice to use my 22″ crosscut panel saw and some saw benches for a change (instead of my usual carcass saw and bench hook for smaller crosscuts). Using my least twisted, flattest piece of premium pine for will hopefully mean there won’t be a ton of mill work to be done once the boards are cut to length. On a side note, the table will end up overall 1/4″ shorter than it is wide/deep, which will allow me to use those felt furniture pads to get it back to cubed overall.